a little Peruvian town sitting on the banks of the Maranon River. When we were planning our trip into Peru, we prayed for guidance as to whether or not we should include a conference in Saramariza, since the travel to reach this Amazon Basin location is very long, arduous, and costly. We first visited there in 2012 and found the people hungry for the Word of God and so thankful for clear teaching to prepare them for a fruitful Christian life. It was clear to us before departing that the Lord wanted us to revisit these remote people and, once we arrived, we clearly understood the reason. Their rains usually come in January. This year, the rains once again started in January and then kept coming and coming. You may remember us sending out prayer requests earlier in the year for those in Peru suffering from flooding. We did not even realize the extent of what they were going through until we returned to Saramariza. Pastor Manuel Rivera and his wife Lendaura shared photos and stories with us of their struggle with months of flooding that took lives, destroyed crops, and ravaged the town. The schools and churches were closed for six months as people traveled through the streets of their town by canoe. Homes and businesses show watermarks two to three feet up the walls. These people have just come through a very difficult time, and we found that our arrival encouraged their hearts as the teaching of the Word of God strengthened their faith. 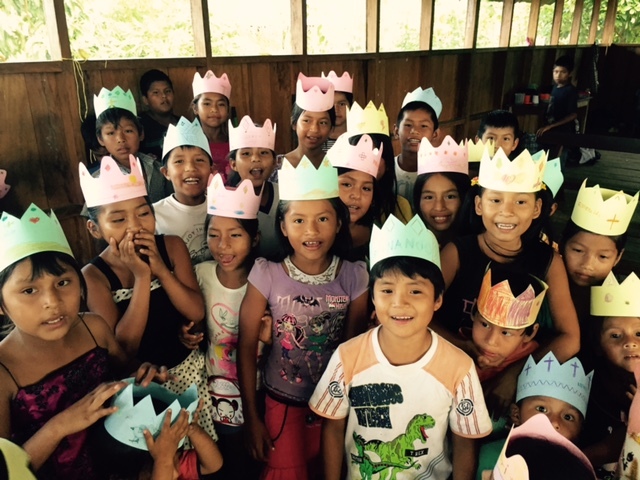 We were so glad God had directed us to make the effort to include them in our Peru mission. He is faithful! At this three-day conference, we had about 80 people for daytime classes—many of whom traveled three days by riverboat to receive the teaching. Night classes swelled to 120 as local people from the church were able to attend as well. We handed out The Basics book to the students, and Gene taught an overview of the book to give them a head start on understanding its contents. Julio and Pastor Antoline were also able to teach a few classes while Nan taught the ladies and children and Cindy, once again, did a most excellent job of translating for us. Tomorrow, we go overland to southern Ecuador to the picturesque mountain town of Loja. Our conference there starts on Monday August 10. Please pray once again, for safe travel and effective ministry. This is a new open door for us as we have not worked in Ecuador before, but Julio provided this opportunity through contacts he has in Loja. We look forward to meeting new friends and brothers and sisters in Christ and sharing the precious Scriptures with them. Thank you for your prayers and support that help make this possible! Thank God for His guidance, provision, and protection that enabled us to minister to the believers in Saramariza. Thank Him for the power of His Word that encourages the hearts of His children (where would we be without it?). Pray that the attendees would continue to grow in their faith and use the biblical principles they learned. Pray for the church (Casa de Oracion) and the town to recover from the flood. Many people have left and, therefore, it has effected church attendance, businesses, and the futures of its residents. Pray for the pastor and his wife, Manuel and Lendaura Rivera. Pray for a little five-year-old boy named Abner. He watched his mother be swept away in the flood and is now being raised by his grandmother. He is experiencing the effects from this trauma and is in need of our prayers. Pray for Edwin and Lucy—their business has been greatly affected, and they are asking for God’s guidance concerning work and ministry. There are many village churches up and down the river that look to the Saramariza church for help, teaching, and encouragement. Pray that God would raise up a worker to visit these churches. They also requested that we try to provide solar-powered audio Bibles for these village believers as many are illiterate. Pray for Mary. She showed great excitement at the things she was learning in the Bible classes and has a desire to enter into ministry but has some relationship issues that are hindering her at this time. 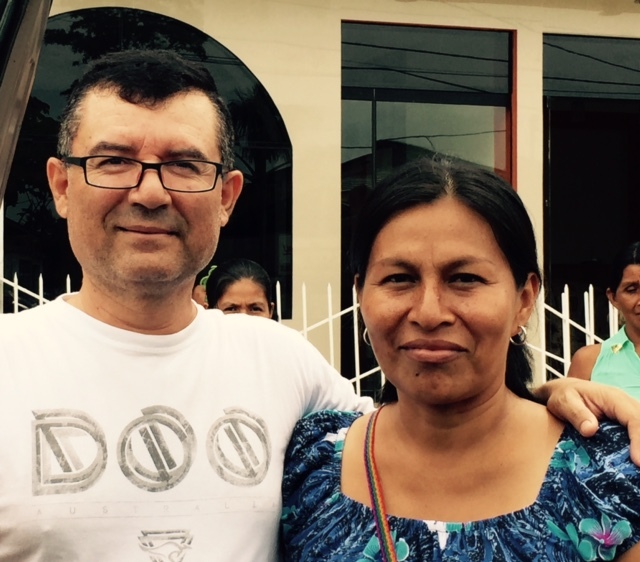 Pray for Luis, a new believer who just suffered injuries in a motor bike accident. Pray for Teodoro, an elderly man with nerve damage in his leg. He is in a lot of pain. A little girl in the church (sorry, we didn’t get her name but God knows who she is) who dislocated her arm and has severe swelling.